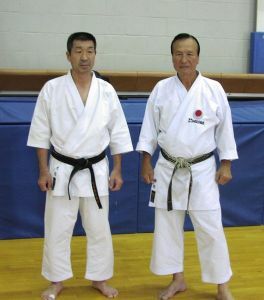 Guest instructors Yoshiharu Osaka (8th dan Japan) and Keinosuke Enoeda (8th dan Chief Instructor Europe). 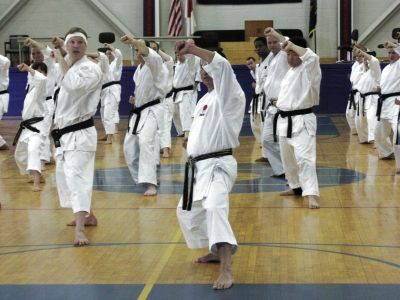 Summer Camp 2002 at Keio Academy, New York. 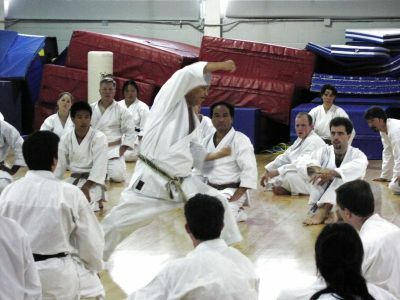 Sensei Enoeda leads class in the kata Meikyo. 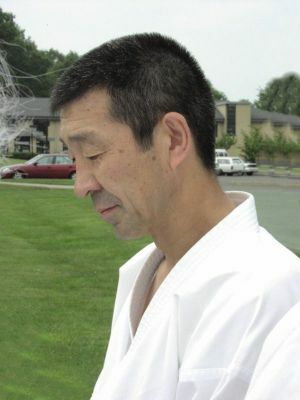 Sensei Osaka demonstrates Gojushiho Dai with Isami Shiroma looking on. 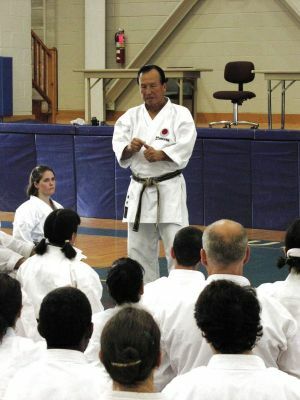 Sensei Enoeda discusses the finer points of karate. 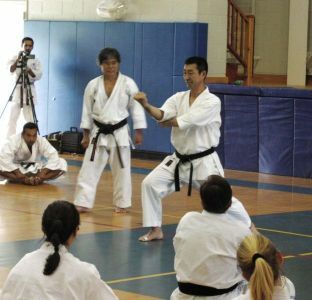 Sensei Mori demonstrates Bassai Dai for the brown belt class.